However, as Business Insider noted, some of the content run by the Telegraph is a bit on the nose. 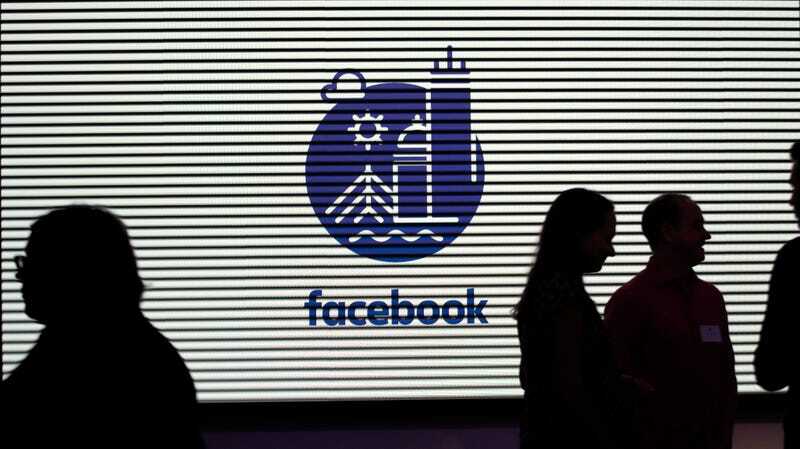 One article from March 6, 2019 titled “Tackling hate speech and terrorism on social media” was light on details, but touted how Facebook is “using AI to proactively identify content and investing in larger review teams to monitor and remove content that could inflame and inspire violence.” Another dated March 13, 2019 was titled “What action is Facebook taking to tackle terrorist content?” That was two days before a white supremacist gunman live-streamed a massacre of 50 worshipers at two mosques in Christchurch, New Zealand, that left scores more wounded. Facebook removed at least 1.5 million copies of the video over the next 24 hours, but the damage was already done. It wasn’t until about three weeks after the first article (and well after the shooting) that Facebook finally determined white nationalism should be banned under its existing policies against white separatism and supremacy. As Business Insider noted, this week Facebook appeared to be hesitant in enforcing that policy against videos of Canadian far-right activist Faith Goldy perpetuating a conspiracy theory asserting the forcible “replacement” of whites in Western countries by people of color and Jews. Facebook has come under unprecedented scrutiny in the past few years amid a long series of privacy scandals, accusations it is easily gamed by hoax news sites and malicious political actors, and of failing to act even after repeated warnings its platform was promoting pro-genocide propaganda in Myanmar. (United Nations official Christopher Sidoti recently told Gizmodo the company is still not doing enough to clean up racist posts in Myanmar, saying it was “as though the approach was apologize after the fact rather than try to prevent it in the first place.”) On Wednesday, the Washington Post reported that House Democrats were planning on hammering Facebook and fellow tech giant Google about the proliferation of far-right propaganda online at a hearing next week. Facebook and other tech giants have also faced major backlash in Europe more broadly, where European Union legislators passed the sweeping General Data Protection Regulation, which took effect last year. Politicians in Australia have been notably even more critical, with reports indicating they plan to pass a world-first law that could impose jail time on social media executives who fail to promptly remove “abhorrent violent material” from their platforms. The company has at times fired back; CEO Mark Zuckerberg reportedly told executives last year the company was at war with its critics, while Facebook hired a lobbying firm then accused of promoting conspiracy theories about billionaire philanthropist, Holocaust survivor, and Facebook critic George Soros. This is certainly a more milquetoast form of defending itself. But please do remember not to take anything labeled “Brought to you by Facebook” with less than a spoonful of salt.